The latest report from the National Drought Mitigation Center shows that extreme and exceptional drought - the two worst categories - have retreated from Colorado after 55 weeks, thanks to storms which have brought abundant moisture to western and mountain areas of the state during the first few months of the year. Moderate drought impacts parts of Fremont, Custer, Huerfano, Las Animas, Costilla, Conejos, Archuleta, La Plata and Montezuma counties. 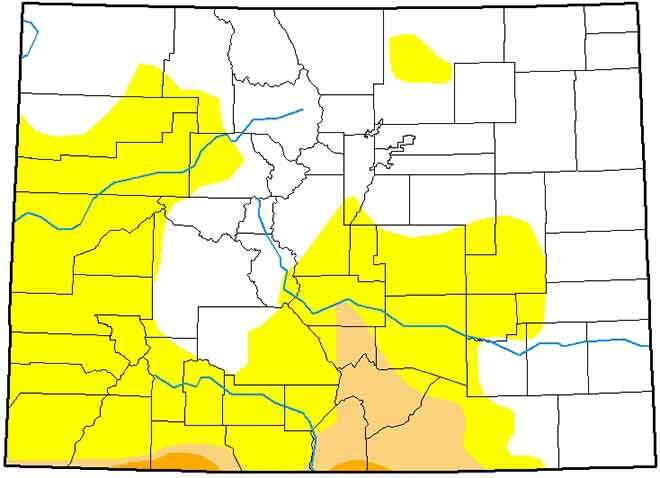 Severe drought is remains in small portions of La Plata, Archuleta, Conejos and Las Animas counties. 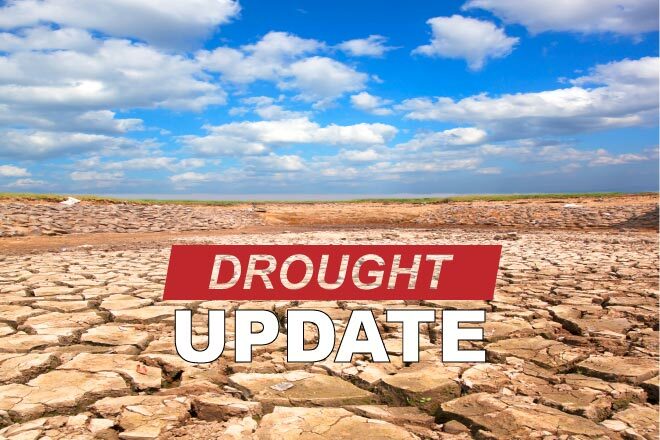 Abnormally dry conditions affect western and central Colorado, along with central Weld County. Steady improvements have been made since the start of the water year on October 1 when nearly half of the state was in extreme or exceptional drought.Compared to last week, drought-free conditions now cover 54 percent of the state, up from 17 percent, while abnormally dry conditions stretch across 40 percent of Colorado, down from 58 percent. Moderate drought impacts six percent of the state, with one percent in severe drought. One year ago, just 10 percent of the state was drought-free, with another 16 percent rated as abnormally dry. 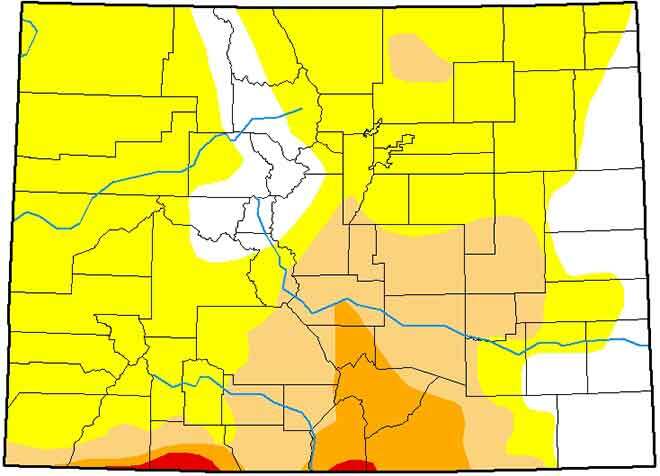 Moderate drought covered 24 percent of Colorado, while 30 percent was in severe drought. Extreme conditions impacted the remaining 20 percent of the state. 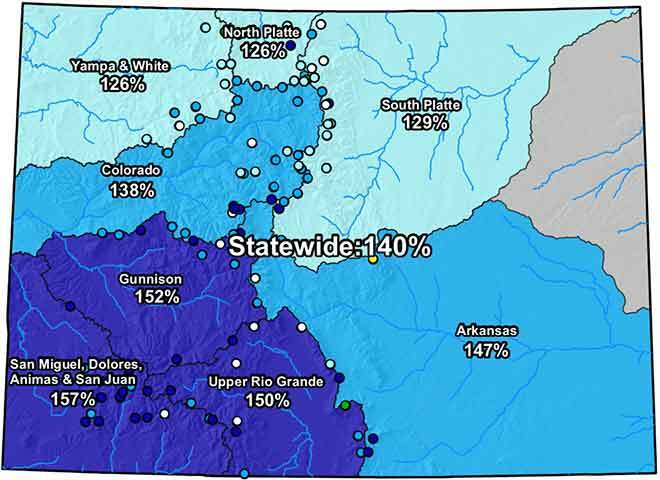 Colorado's snowpack remains strong, with the statewide percent of median for this time of year standing at 140 percent, down slightly from 143 percent last week. River basins range from 126 to 157 percent of the median for snow water equivalent - the measure of available water in the snow. Two months ago, the southwest basins were the weakest in the state, at 70 to 80 percent of the median. This week, those basins are at or above 150 percent following weeks of snowstorms. Drought maps courtesy of the National Drought Mitigation Center. Snow water Equivalent map courtesy of the United States Department of Agriculture - Natural Resources Conservation Service.